He was Hollywood's most eligible bachelor for many years. And Jennifer Aniston has admitted seeing George Clooney now as a dad is 'amazing'. 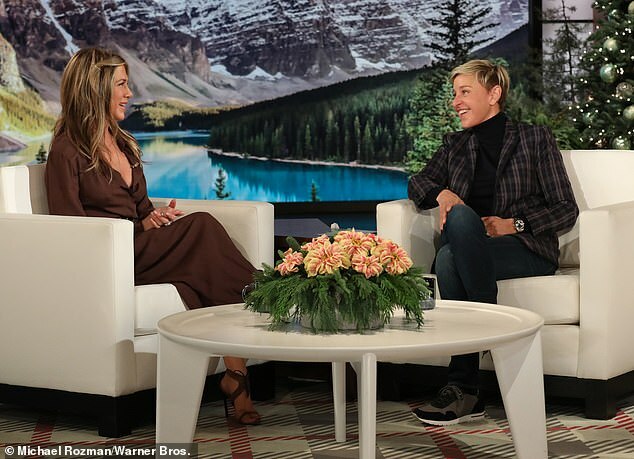 The 49-year-old actress was chatting to Ellen on Thursday about how her friend is now the proud parent of one-year-old twins Ella and Alexander. In fact, the ER star's babies — whom he shares with wife of four years Amal Alamuddin — turn exactly one-an-a-half years old on Thursday. 'Dramatic beautiful actor, that movie Beautiful Boy is just stunning, he is fabulous, such a range of emotion,' she gushed. 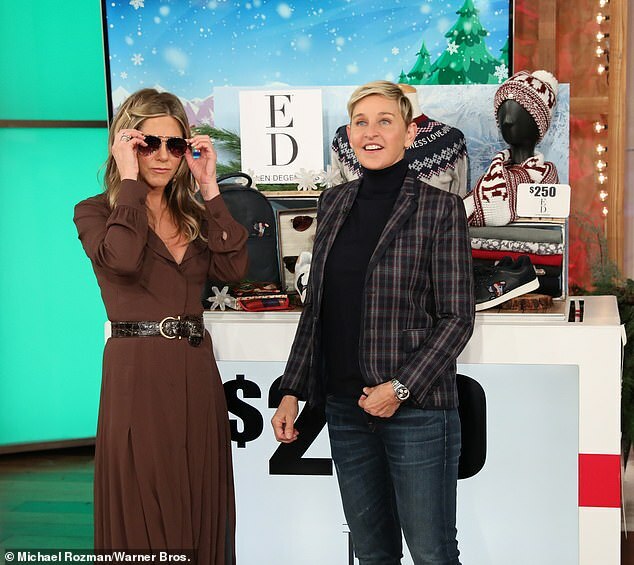 The Friend's alum, who turns 50 in February, was informed by Ellen that she intended hosting her birthday party as an hour special show dedicated to her. 'Is it greedy of me to say "and then we go to your house and have an afterparty?"' Jen begged to audience screams. 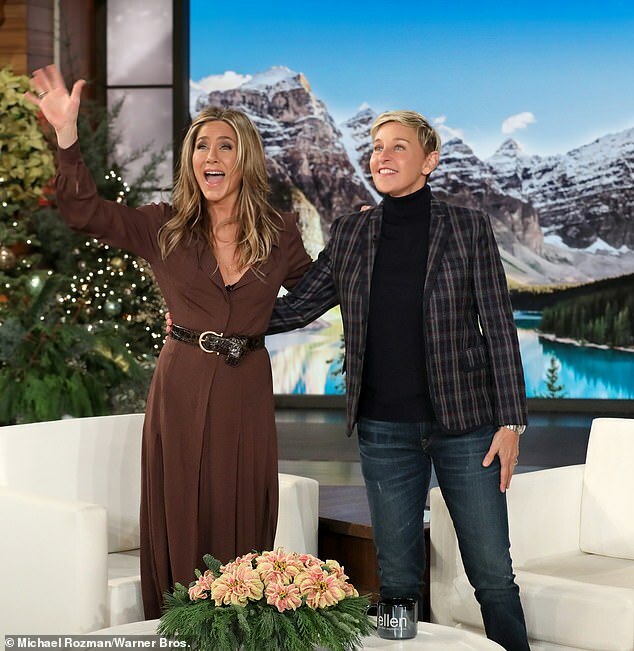 'I love that you all think you're going to be here,' Ellen chuckled back at them. 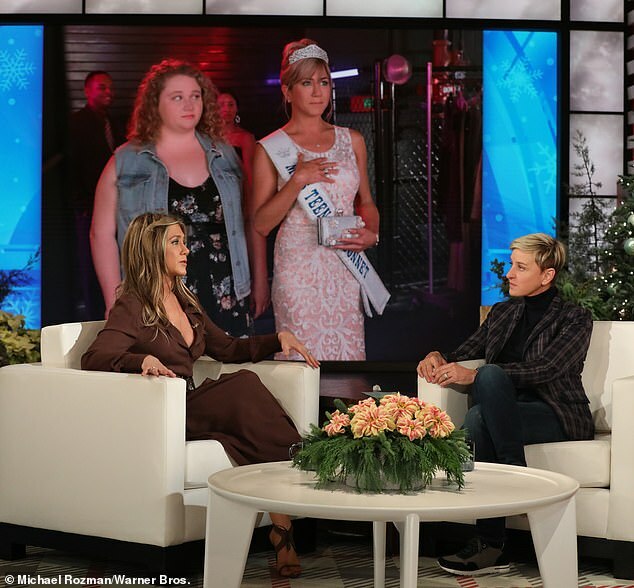 Anistion's latest film Dumplin streams on Netflix from Thursday.